If you are a small business owner, you might think that email marketing is only for big corporate companies, but regardless of size or sector, your business has a lot to gain via email communication. Email marketing might seem a little passé as businesses become more and more dependent on their social media channels to engineer sales and growth. However, email marketing is the foundation for any good marketing strategy, while social media (from Facebook advertising to messenger marketing) is really just the bells and whistles. Think about how often you check your own email or have found out about a product or service via email, now imagine other people learning about your business in their inboxes they visit daily or multiple times per day. As an email-heavy society the inbox will continue to be prime marketing real estate for small business owners. Email marketing has been statistically proven to have the biggest return on investment (ROI) for small businesses looking to maximize their budget. For every $1 spent on email marketing, there is an average return of approximately $45. That is a very notable ROI for minimal effort. Small businesses should be eager to take advantage of this very accessible mode of advertising. Here are some more enticing reasons to start an email campaign for your small business. Easy to Share – While your email campaign might be limited initially to those on your subscriber list, the people who receive your email will likely send it to others in their network they think could use the information. Emails can be shared in one or two clicks and these “word-of-inbox” referrals can translate to actual sales. Produces Useful Statistics – Email campaigns are a great way to see how interested your subscribers are in your business. 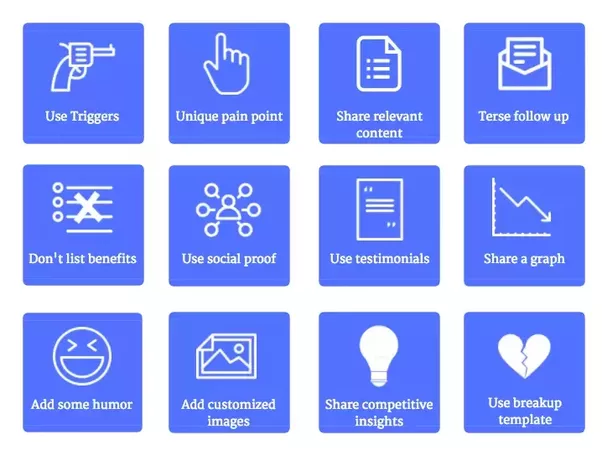 It can be a good started point to help a small business improve their overall content strategy. Statistics are easy to access on any mass-mailing platform. Over time you can hone your market strategy and get to know your audience better, all guided by open rates. Highly Flexible & Customizable – From design, to content, to audience, everything about an email campaign can be customized on a daily or weekly basis. Unlike a web page or a social media platform, while cohesion is valued, you can switch things up to meet seasonal needs or reach a smaller portion of your subscribers. There is a lot of different ways to integrate email marketing into your business plan. Community-Oriented & Permission-Based – Your subscriber list is a group of people who have given your business permission to contact them. They want to know more about you! This is a great way to start building community within this list of pre-disposed and already interested parties. Affordable – As mentioned earlier, email marketing campaigns are incredibly cost effective. For smaller lists sending an email campaign can even be free. You can nearly double your investment for every dollar spent towards email advertising. If you are just getting started campaign templates are easy to use and you can create them yourself without having to hiring expensive graphic designers initially. Easy to Automate – Once you settle on a template or design you like you can update a few things and automate the delivery weekly or daily. Once everything is initially set up, the bulk of the work has been completed. Email marketing campaigns can run independently without too much time spent weekly. 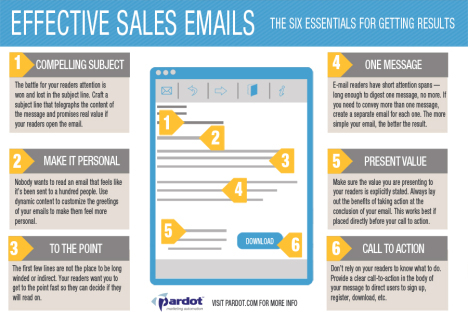 Building an effective email marketing strategy only takes a few simple steps. You don’t have to be a marketing genius to create a meaningful campaign that will bring in results for your small business. Plan – This might feel obvious, but some people think they can just dive in and start designing. When it comes to email marketing, timing is absolutely everything. If you sell Christmas trees for instance, you would want to build your email campaign around that seasonal holiday. Know the dates that are important to your business model. Create a campaign calendar and research the best times and days that have statistically gotten the best open rates for your industry. For example, B2B email marketing campaigns targeting startup owners perform highest on Friday and Saturday nights. Startup CEOs run their new business on the side often working late at night and on weekends. Create a Basic Template – Make a template that you can use time and time again. This should have enough space to convey your message in an organized and eye-catching way. There are tons of pre-made templates or you can custom design your own to meet your small business needs. Outsource – This is the point where if you did want custom graphics or editorial work done on your email campaign you would hire any auxiliary staff or enlist existing personnel to help out. Having a second or third pair of eyes on an email campaign can be crucial to its success. It is difficult for one person to be able to see it all for themselves. Finish up creating your content by filling in the blanks on your template and schedule all the campaigns you can ahead of time. Remember, you can always go in at the last minute and make relevant edits, but it is easier to complete your email content schedule and have it ready to go for the full month ahead. Include Video – Don’t be afraid to include videos like how-to guides that might be relevant to your readership. You don’t have to necessarily make the videos yourself, you can share other content that your community would be interested in. Film your own live Q & A videos, a day at the office, or other informational media content. Hiring? Tell Your Subscribers – Let your subscribers know that you are looking to expand your team. It will let them know that you are growing and you could potentially crowdsource really great talent from your small business’s community. Include Deals and Check Out Codes – Create email subscriber only deals that incentivize your contact list to stick around. This will work to increase open rates and retain subscribers. Create and Distribute Surveys – This is a great way to get to know your customers. Distribute savings codes and rewards for participating subscribers and convert survey interaction into a sale. Your community will appreciate that you are taking into account their input and personal taste into your business. Have Fun – Create a fun GIF-heavy listicle to brighten your subscribers’ day. Not everything always has to be so serious. Don’t be scared to have a fun and light tone in your copy. This can be welcoming and engaging to subscribers. Inspiring Quotes – Share an inspiring or interest quote from an industry giant or relevant celebrity. This is a great way to hook readers into your newsletter or marketing email. Infographics – Infographics are the latest, catchy way to display statistics. Listing facts in bullet points can get boring fast. Displaying statistics relevant to your product or service in a visually stunning infographic will go a long way to sustain subscriber engagement. Share News – It doesn’t have to be about you all the time. Be sure to share some information or breaking news that your customers base would like to read. This is how you build and engage with your community without constantly pitching or selling to them. Team Spotlight – Do you have an employee that has been crushing it in the office? Share a short bio or interview with them about their time at the company or what they do in a day. This will help to humanize and put faces to your brand and name. Help your subscribers get to know you. Host an Expert – Write a blog post or article or host an interview with an industry expert. Share the content in your email campaign or newsletter. This will help establish your small business as having an expert and unbiased opinion. Show Gratitude – Thank your subscribers for sticking around and provide them with special discounts in the thank you. Tell them to have a good weekend or holiday. Feature Customers – Do you have pictures or reviews from customers using your product or service? Feature them in the newsletter or marketing campaign. Instead of your business telling customers that your product is great let your established customers communicate that for you. They can act as a more trusted third-party source. It is easy to overlook the importance of the subject line, but a flat or bland subject line can crash open rates. Don’t leave crafting subject lines until the last minute, learn how to hook your audience from the start with evocative subject lines. Caught between a few ideas? Use A/B testing to find the perfect subject line. Your outro is equally important to the marketing email as your intro, so let’s talk email signatures. 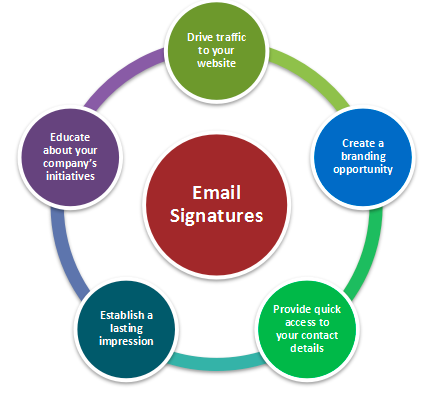 This diagram below outlines all of the points your email signature should hit. Contact details to open up a dialogue with readers and encourage them to ask questions about your product or services. 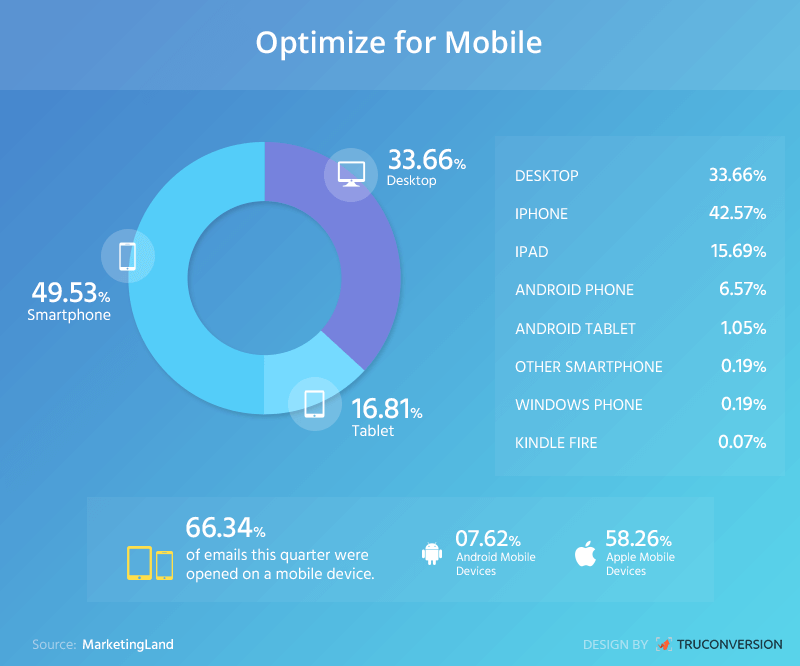 Create mobile app friendly email campaigns that facilitate mobile ordering. Segment Your Email List – Focus on specific demographics. Not every email will be for all of your subscribers. Do you want to target male clients the week before Mother’s Day for instance if you are a fragrance company? Probably. Strategize email segments to target specific audiences for better results. Customize – Use the customer’s name or send them a special email on their birthday. Having a personal touch statistically goes a long way with subscribers. Your subscriber list will become one of your business’s most valuable assets. There are a multitude of ways to attract subscribers to your email list so you can eventually convert them into customers OR convince existing customers to subscribers to retain their loyalty. Easy Subscribing – The easier it is to subscribe the more people will do it. You don’t want the process to be daunting as it will discourage people from wanting to sign up. On all social media platforms, your website, your online check out… they should all have an option to subscribe. Keep your sub-form short and sweet. Build Hype – Tell your potential subscribers what they can look forward to if they join the list. If people don’t know what they are subscribing to, they will likely assume it is going to be useless and sale-sy spam. Offer an Introductory Exclusive – To incentivize subscription promise a can’t-miss deal for all new subscribers. When any new subscriber sign up they will get a code or some kind of free be exclusive. People will likely sign up to get the freebie and then stick around for your great content. DO send people compelling and relevant content. Would you keep reading a boring newsletter week after week? Dazzle your subscribers with not only good content, but relevant content that will help you convert readers to sales. Be sure to have an editor look over your content before sending it out to thousands of readers. There is nothing more unprofessional than a typo or unfinished section or graphic glitch. A second pair of eyes or a double-take at your email campaign is worth the extra time. Send a test email to yourself to preview the email on both browser and mobile. This will help you see what the subscribers will see. Sometimes things don’t translate visually as expected from template to email. Don’t send the same boring email every single week or over-email. Your subscribers will quickly dwindle if you spam repeat content. Don’t reuse the same images. While it might be tempting be sure to rotate imagery, media, and copy. Don’t start with the same exact intro, subject lines, and signatures in a monthly period. While it is easy to fall behind on stats, you need to stay on top of how your subscribers are interacting with your email marketing content. You should be consistently testing new things and getting rid of what didn’t work. Evaluate Features – Think about what feature you will and won’t need based on your subscriber list and future plans. You could end up paying for features you don’t even use. Think about the templates you will need, the segmenting abilities, the amount of emails you will be sending out. Contact Management – If you have lots of contacts to manage or a growing list you might want to first check that you can successfully integrate your contacts into your new email marketing platform. It would be a big setback if you had to manually update your list with 10,000 new contacts. Value – You might have a bottom line budget for email marketing. You will want the best value for buck. Be sure to read user reviews for all platforms and best of 2018 lists to see the different costs for plans and what you will get for your money. Look to the Future – Don’t just think about tomorrow, think about the email marketing software you will need for when your business isn’t so small anymore. You might only have a subscriber list of 1,000 today, but in five years you are likely to have many more. All small business owners should take advantage inarguably the most affordable marketing strategy with the biggest return on investment. 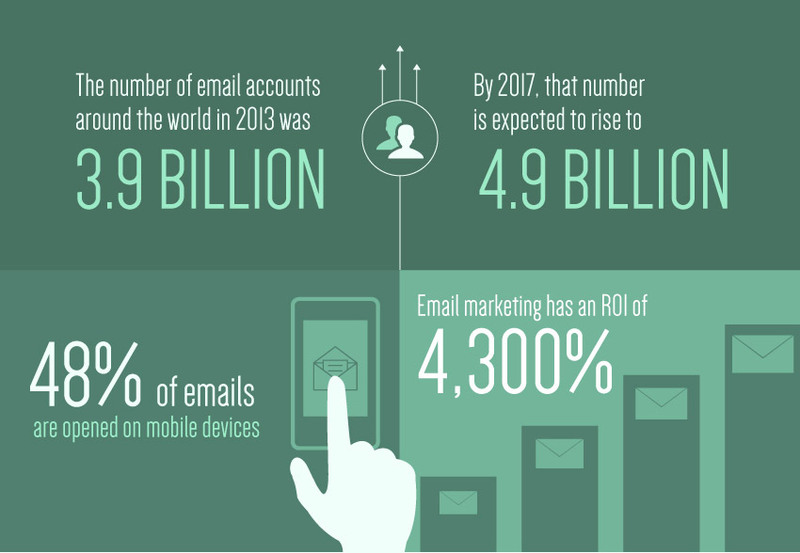 No business is too small to start a successful email campaign. Be sure to sit down with your team and plan out your content calendar. Brainstorming sessions will help bring a burst of creativity bound to woo your subscribers. Email marketing is a great way to convert your community, already interested in your product, into sales and profit to help grow your small business.